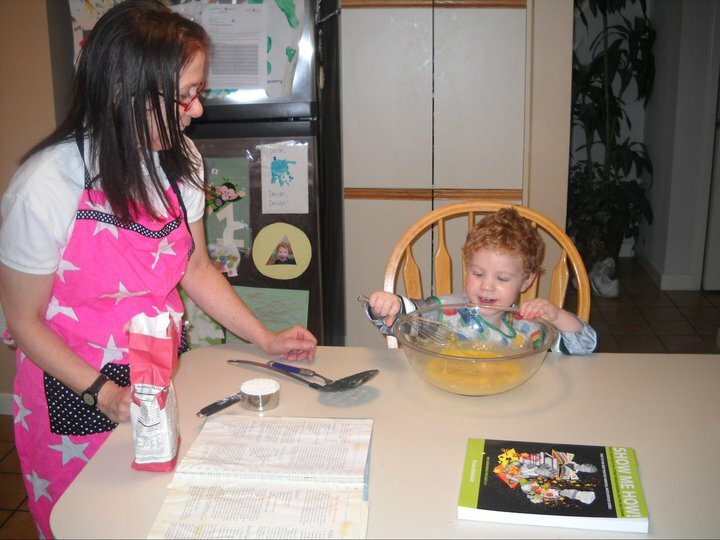 This entry was posted in children, contests, Cooking with children, crafting, Daycare Providers, families, GIVEAWAYS, Homeschooling, JDRF, parenting, Positive Parental Participation, Pre-literacy skills, Preschool Teachers, preschoolers, reading to preschoolers, self-esteem and tagged children, cooking with children, crafting, Early childhood education, Hoppy Easter Eggstravaganza Blog Hop, Juvenile Diabetes Research Foundation, parenting, Positive Parental Participation, READING WITH CHILDREN, self-esteem by viviankirkfield. Bookmark the permalink. I’m not a mommy yet, although I want to become one in the future. I already subscribe to you and I plan on sharing this giveaway on my Facebook for all my mommy friends that are interested but I’m not entering myself because I don’t want to take any chances away for the mommies who ARE entering. I think some of my mommy friends would love to be included though! Thank you so much for stopping by…I know you’ve been stopping by lately and I want you to know how much I appreciate your interest and support! Love this idea, Vivian. I’ve posted on FB to spread the word. If I win, I want you to donate the book to an organization of your choosing ~ children’s wing in a hospital, a pediatrician’s office, etc. You are awesome, Nancy! I really appreciate your support. And I LOVE your idea…if you are the winner, I will definitely see that the book finds a good home…there are so many organizations that would benefit from having it. I;ve already donated a couple of copies to our local Head Start program. what an amazing book and an amazing site. i am glad peter cottontail sent me to find you! i have two sons, one three, the other 16 months. the older has been diagnosed with mild autism and the younger….they suspect. i am always looking for new and fun activities to do with them, and if homeschooling is in our futute, i’ll need resources for that too. i subscribed and shared on my facebook. i am off to attempt to add your button to my blog and make myself a button too. thank you!! So glad you stopped by and shared a little of your story with me. 🙂 One of the teachers who did an endorsement of the book is in special ed…she actually wrote a full page on how valuable this book would be for children with learning disabilities and other special needs…because of the multi-sensory approach…but I didn’t have room so I had to edit her testimonial down to a few sentences. I love it…thank you so much…it is perfect! Thanks for the giveaway. My son will be three this summer and this book sounds like it has some awesome ideas/activities. Thanks. Glad you stopped by. If you check my previous posts on Wednesdays, I usually review on of the recommended stories and on Mondays, I usually post a recipe from the book. Thanks for the giveaway and for participating in this blog hop! Although my children are grown I do have an almost-3-year-old niece who loves to be read to and was just diagnosed in December with JD. 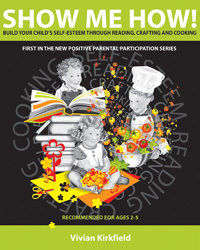 This sounds like a great resource for her mom! BTW I’m a new e-mail subscriber. Thanks for subscribing and entering the giveaway…it sounds like it would be the perfect book for your niece and her mom! Thanks for subscribing…good luck in the giveaway! I can’t wait to see it, Eliz…and thank you for linking it to this post. I’m off to the kindergarten story presentations right now…but will be back to read some of your latest posts. 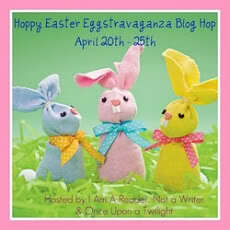 Best wishes and thanks for a chance to win this wonderful Easter Eggstravaganza Blog Hop Giveaway! Thanks for stopping by, Janelle. I’m excited about the giveaway also…just hope I have time to visit some of the other blogs that are participating. Thanks Janelle, for the good wishes…I hope lots of people stop by for a chance to win the book! Thanks for the giveaway. This would be great for my younger nieces and nephews. GFC follower. thanks so much for the chance! What a great book! I’m a mom of a 2 and a 3 year old and this would be a fantastic resource for us! Thanks for stopping by, Devony. Sounds like you would get a lot of use out of the book. 🙂 Planning activities for little ones can be exhausting…hopefully, this book will be a big help to busy parents. Wow this looks like an amazing book! Thank you for the opportunity to win it…. Thanks for entering to win…good luck! What an awesome book! Thanks for the great giveaway! Me and my daughters would love this! awesome book, I’m a new subscriber. Grab my button and post it on your blog. Please leave a comment and your blog address so I can go there and grab your button also, if you have one. Post my giveaway on twitter or facebook. Please leave a comment to let me know. I am so interested in this book for me, my daughter and granddaughter! Thank you so much for stopping by and entering…and grabbing my button and tweeting as well!!!! I can’t wait till tomorrow when I have more time to check out your blog…I hopped over for a moment and it looks GREAT! Love your graphics! I have to run to work right now…but I will definitely be back. This looks great! I work with kids in a mental health institute and this would be amazing to use with them! I’m so glad you entered…I agree, the book would be wonderful to use with the children in the mental health institute and would make choosing activities a snap for the caregivers. Thanks for the giveaway. I’m a SAHM of a soon-to-be 6 yr-old daughter. We love to read together. So glad you entered to win a copy of Show Me How! Thank you for the giveaway!! I have a 13 year old and a 3 year old! Thank you so much for entering the giveaway…I know that older brothers and sisters can be such a help when it comes to reading the stories and doing the crafts with their younger siblings. I have always believed that one person can make a difference…I went to your blog and I see that you are doing just that in Beaumont/Banning California by encouraging people to support their local schools. I’ve been implementing my Show-Me-How-Story-time program in the Colorado Springs’ kindergartens and Pre-K’s since January…it’s a win-win situation…I love it, the teachers appreciate having someone come in to read and craft with their students, and the kids…they are having a ball! My nephew just had a new baby. I think his wife would love this book. Thank you for joining the Giveaway Hop so I could learn about it. And I thank you for stopping by and entering the giveaway for a copy of Show Me How! I have worked and volunteered with many different groups dealing with small children. My oldest daughter i expecting her first in a couple months. This book will be handy in all instances. I follow you on Twitter as pbbearclaw and tweeted this giveaway. Tnanks for the Twitter follow and for tweeting about the giveaway.